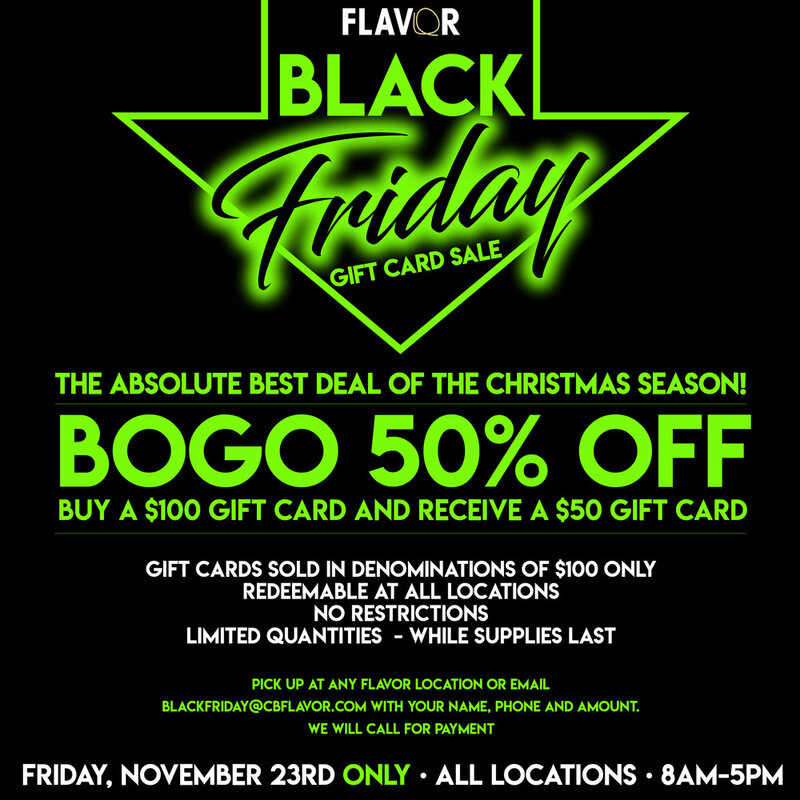 Black Friday at Flavor • What you need to know... — Flavor Creative Catering Ltd.
Today is Black Friday and we are giving you the absolute best deal of the Holiday Season starting at 8am and running the full day until 5pm at all locations. Buy a $100 gift card and get a $50 gift card for FREE! Yup, the annual Buy One Get One deal. For every $100 gift card you buy, we will give you a $50 gift card! These gift cards are redeemable at all locations, no restrictions, but we only have so many to sell…so get in while supplies last! Keep in mind, gift cards are sold in denominations of $100 only. But don’t worry, if you can’t make it in we have made it even easier for you! Drop us an email at blackfriday@cbflavor.com with your name, your phone number and the amount you would like to purchase and we will call you for payment! What's up in May at Flavor?